Washington- Robert Mueller, the special prosecutor in charge of the Russia election meddling probe, recommended on Tuesday that President Donald Trump’s former national security advisor Michael Flynn face no jail time due to his “substantial” cooperation with the investigation. “Given the defendant’s substantial assistance and other considerations set forth below, a sentence at the low end of the guideline range-including a sentence that does not impose a term of incarceration-is appropriate and warranted,” Mueller said in a memorandum to the court. 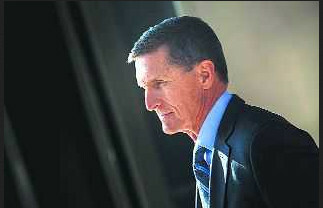 Flynn’s was the first guilty plea secured by the Mueller investigation into alleged collusion between Trump’s election campaign and Russia. His position as a top-level insider in the campaign, accompanying Trump to key events, making a keynote speech at the July 2016 Republican convention, and then taking hold of the White House national security apparatus in Trump’s first weeks in office, made him a potentially extremely valuable witness. But many thought his own problems had likely compromised that value.